Ariana Grande is the most-streamed female artist in the four-year history of Apple Music, the service announced on Friday — just in time for International Women’s Day. The 25-year-old “Thank U, Next” singer edges out Taylor Swift, Rihanna and Beyoncé on Apple Music’s “Top Women in Streaming” list, announced as the service is set to showcase several visionary female artists during March on its radio shows and curated playlists. Grande is the first and only female artist to cross the 3 billion total streams threshold since Apple Music launched in mid-2015, according to an individual familiar with its streaming figures. She’s joined by Swift and Rihanna as the only three women in the 2 Billion or More Streams Club. 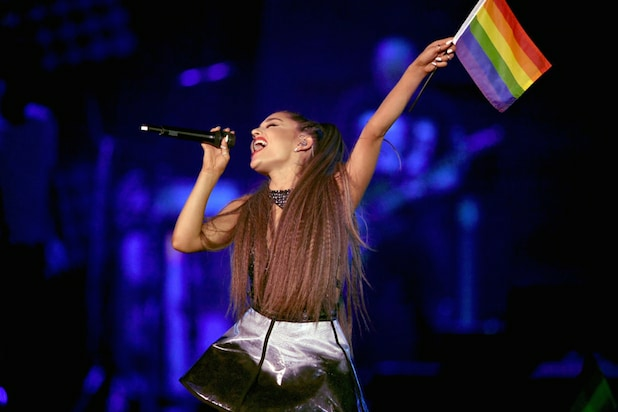 Of course, Grande’s streaming numbers have been goosed by the success of her latest album, the Scooter Braun-produced “Thank U, Next,” which set an Apple Music record in its own right when it debuted in February with 185.4 million worldwide streams in its first week — the most by any male or female pop artist ever. That easily tops Ed Sheeran’s 107.5 million global streams — the most for a male pop artist — in the first week after “Divide” came out in 2017. Nicki Minaj, meanwhile, edged out her rival Cardi B to close out the top 5. Cardi B still has some bragging rights, though: Her 2018 album “Invasion of Privacy” set an Apple Music record as the most streamed female R&B/hip-hop album in its first week of release, pulling in more than 100 million global streams. Other noteworthy results include Lady Gaga coming in at number nine, Selena Gomez at number 14, and 17-year-old singer-songwriter Billie Eilish cracking the top 20. And for anyone wondering who is Apple Music’s most streamed artist, male or female, of all time, it’s Drake. As March continues, Apple Music will also release more than 100 Apple Music playlists, spanning upwards of 3,000 song, dedicated to female artists.